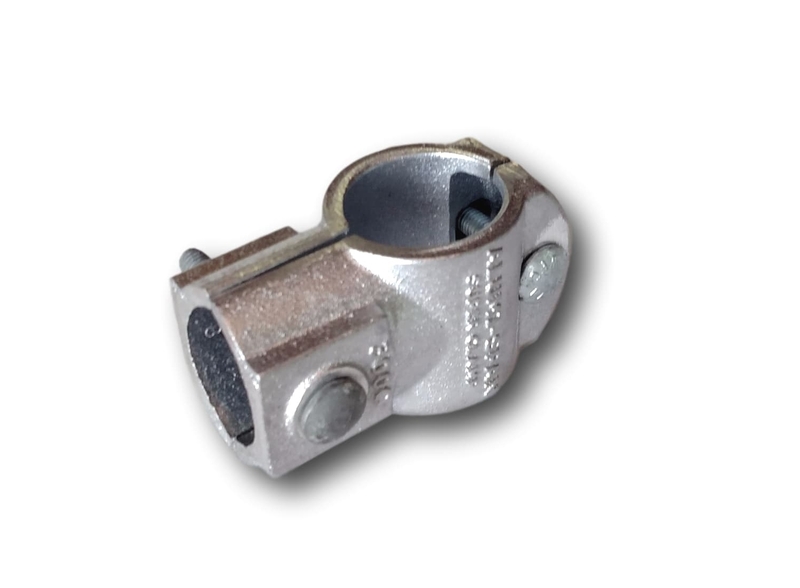 Our 300C Super Clamps are superior to other brands. A precision cast shape means a tight rigid fit when compared to cheap stampings that can flex. Rounded edges mean you never have to hammer them off the post and adjustments are easy. Simply loosen the outside bolt with a 3/4 turn of a 9/16" wrench and the post slides easily through. Turn the other way and the two halves come together until they touch with the perfect amount of pressure on the post and importantly, with no chance of breaking. 300C clamps can only be used with 2” diameter posts. If you have another size post please call and ask about 300B clamps. I purchased these as replacements for some old 300B clamps that got damaged. These adjust much easier than the B's. They also came with galvanized hardware. It's nice to see a company these days actually improving their products instead of trying making them cheaper. I haven't used this yet as there's still ice on the lake.However, I was pleased with the way this and my other items fit together. It looks like it will work well and it was very fair priced compared to local suppliers. Thank you.